Sinnette, meeting with the students in an office at LCHS, said they provided exemplary leadership for the district and she was proud of them. Kandy Basmajian, a comprehensive counselor at LCHS, told the semifinalists they had now entered a competition for a scholarship and gave them white envelopes with instructions on how to log into the National Merit Scholarship website. They have until Wednesday, Oct. 10, to apply. Students find out in February if they’ve made the finalist round, Basmajian said, and are notified if they have received a scholarship afterward. “So good luck to all of you, you’re now in this competition pool,” Basmajian said. Assistant Principal Kip Glazer said the recognition event is a tradition for the counseling department. “It’s one of my favorite things to do, celebrating students,” Glazer said. 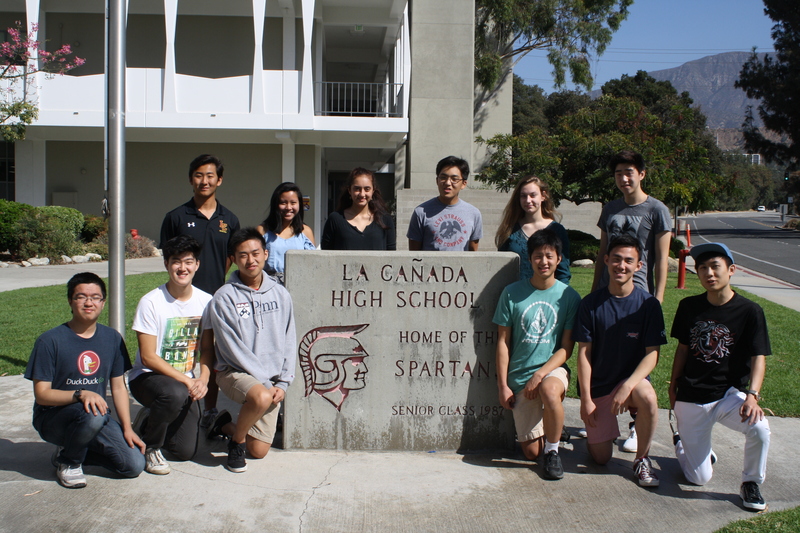 Additionally, National Merit Scholarship semifinalists were also named for Flintridge Prep in the city. LCF resident Rithik Jain as well as Christina Fan, Ryan Huntley, Sinclaire Ledahl, Bavan Rajan and Emma Wang were all recognized.